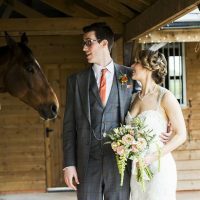 Nestled in the heart of quintessentially Worcestershire countryside, Manor Hill House provides a private and versatile licensed setting for weddings and civil ceremonies. The modern design is perfectly adaptable to different sized celebrations and is neutrally decorated throughout. The minimalist appearance compliments a vast range of decorations, allowing you to make it truly yours for the duration of your stay. Each of the settings is equipped with a modern sound system including ipod dock and a PA system allowing for emotional speeches and your choice of background music. 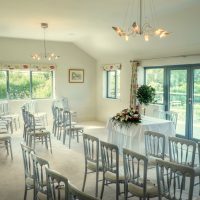 Accommodating up to 66 guest the Summer room features a gorgeous wooden floor and floor to ceiling French doors that not only lead to the marquee but also infuse the room with natural light. Catering for up to 100 guests the drawing room provides a neutral backdrop to your style and choice of decorations. 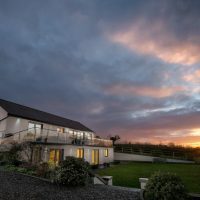 French doors lead onto the balcony that presents an idyllic panorama of the surrounding countryside and create a striking opportunity for photographs. 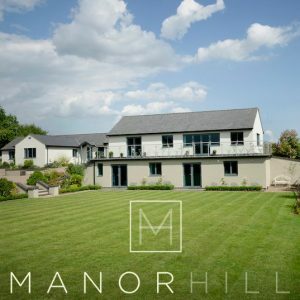 Exclusively yours for the duration of your celebration, Manor Hill House offers a range of all-inclusive packages to make planning simple and stress-free. The dedicated and experienced events team can help you create the perfect wedding whether it’s an intimate gathering or grand affair. 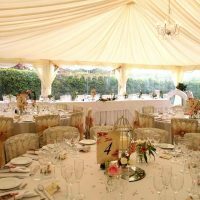 Check out the variety of special offers and ‘whirlwind’ wedding package for savvy couples who don’t want to break the bank. To fully relax after the excitement of the celebrations, take advantage of the four luxuriously appointed guest rooms which include the stunning bridal suite. The creative and talented catering team use only the freshest locally sourced and seasonal produce for a wide choice of delicious fare. Tailor your bespoke menu to suit your tastes including specific dietary requirements. After all food is the way to a person’s heart!